From legendary Western author Max Brand comes a collection of stories about a slave, a jewel thief, and a captive. In Master and Man,” Bobbie is a black man who can outride, outfight, and outshoot any white man in the mountain desert. His unwavering moral code serves as a model for his often cruel and dissolute white master. A Lucky Dog” is a tale of the desperate flight of a jewel thief named Hagger from the man he robbed. In Colorado, facing a battle with winter cold and snow, he comes upon an isolated cabin and its sole occupant, a weakened bull terrier left there to starve to death. The man and dog come to depend on each otherto a point where Hagger would make any sacrifice and endure any hardship just to keep the dog alive. 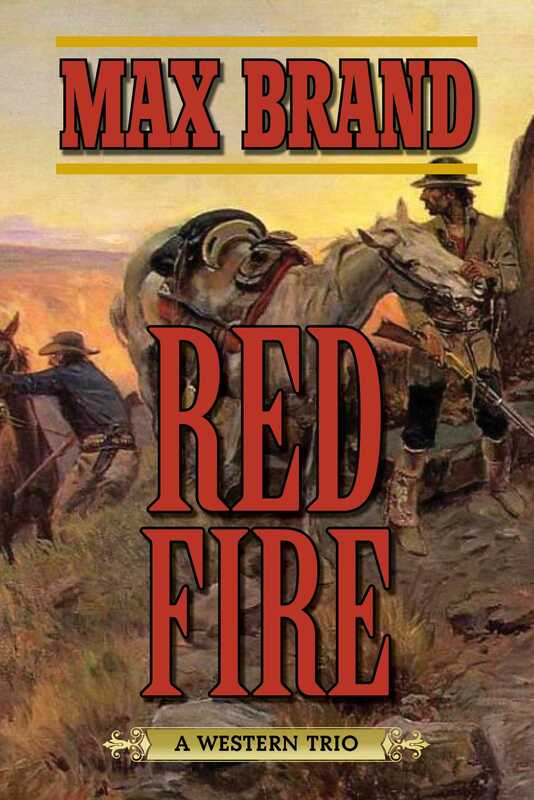 In the title story, Red Fire,” Paul Torridon, called White Thunder by the Cheyenne Indians, and his girlfriend, Nancy Brett, are being held prisoner by the Cheyenne because they believe he can cure illness and bring rain. While Roger Lincoln, a frontiersman who has known Torridon since the early days of his feud with the Brett clan, devises a plan for their escape, Torridon’s captors take every precaution they can to keep him imprisoned, even if it means killing him rather than losing him.